Much like its NES counterpart, the SNES version of Action Replay was Datel's answer to the Game Genie. It was later followed by the Pro Action Replay MK2 and MK3. 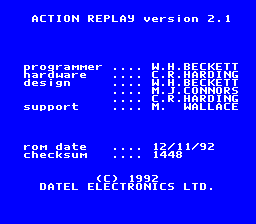 Hold R while starting or resetting the Action Replay menu to display a credits/information screen. 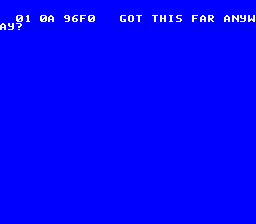 This screen contains the program version, copyrights, build date, and checksum. 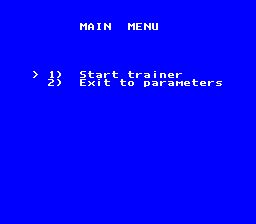 Located at CPU address 00C4FD is some no-longer-reachable code that displays some unknown values related to the trainer/cheat search feature, along with the text "GOT THIS FAR ANYWAY!" (with the "!" displayed on screen as a question mark). Presumably, this was used to debug the cheat searching process. This page was last modified on 27 January 2019, at 04:55.